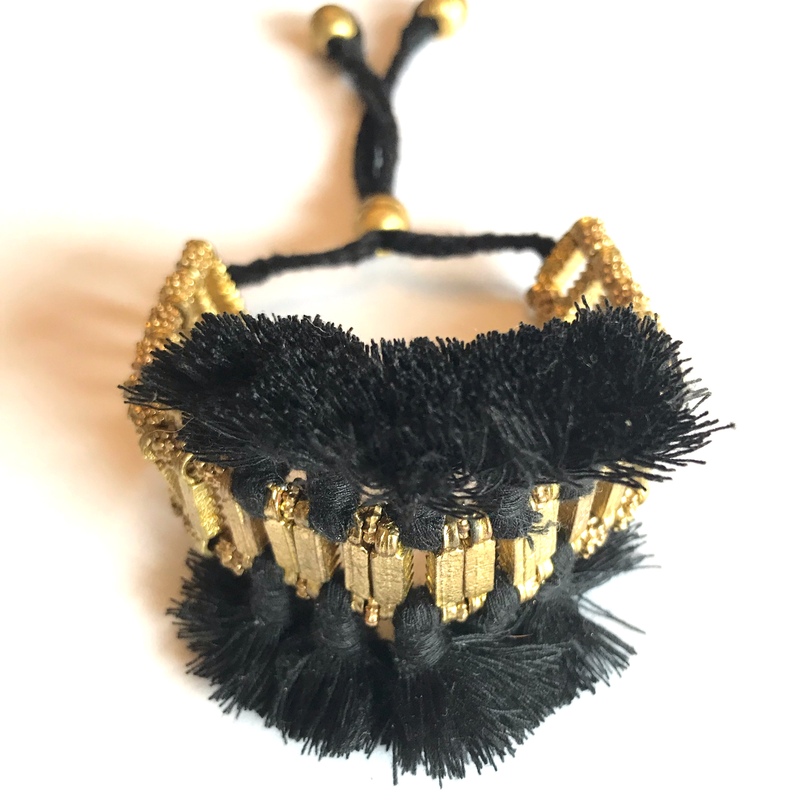 Starting with brass pieces and thread, this bracelet is handwoven beautifully into a lovely piece featuring tassels on top. This bracelet is handmade by working women across the globe and we are proud to support them. This bracelet features an adjustable sliding bead to fit most wrists. Currently available in nine colors. Top tassels measure 2 inches wide. Gold band measures .625 inches wide.